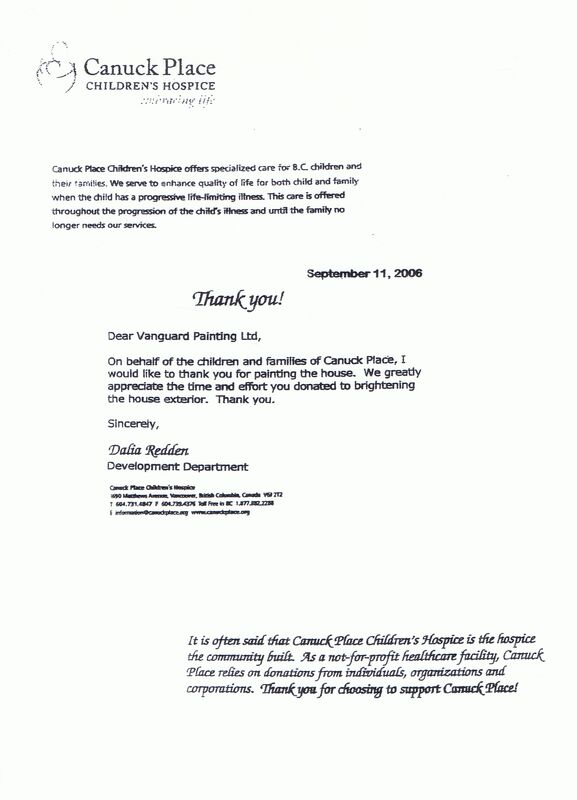 On behalf of the children and families of Canuck Place, I would like to thank you for painting the house. We greatly appreciate the time and effort you donated to brightening the house exterior. Thank you.